Mother Nature frequently likes to throw a wrench in the plans of most outdoor enthusiasts here in Wisconsin. Sometimes it’s snow, but it could be mud, sand or even ice that spoils cycling season. That doesn’t keep us off our bikes. We just go Fat Tire! 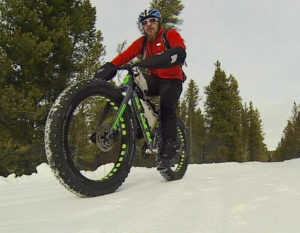 Surface conditions aren’t the only reason to consider a Fat Tire Bike. Comfort might be the feature you love most because riding the bikes is not about speed, unless you make it about speed at one of the popular races or events in the region. Big, squishy tires give a soft, comfy ride. Fat tire bikes are rigid and are not equipped with any kind of suspension system, because the suspension is “integrated” into the tires. The elasticity of the rubber helps absorb shocks, increasing comfort. Who doesn’t like comfort? Looking for a great low-impact workout? Fat Tire Bike frames are heavier than mountain bike frames so it’s true you’ll work a little harder during the ride. But that’s ok, it’s good for you. Doesn’t a soft quiet ride on a trail in the woods sound like an awesome way to get a low impact workout where you can burn as many as 1500 calories an hour (according to Mens Health Magazine)? Yeah, we think it does too. At Shepherd & Schaller we stock Scott and Raleigh bicycles of all styles. And every bike purchase includes a Free 30-day check up for adjustments and health and a Free 1-year tune-up to make sure you’re bike is healthy and ready for what you require of it. (a $30 value.) You’ll also enjoy 20% off bike accessories with your purchase. Come talk with our riders, including industry expert Pete Kohlmoos, our department manager. He rides 365 in all kinds of weather, fits and repairs all makes and models. He’s your man. Raleigh’s Pardner, at $799.99 (Reg $849), is an affordable way to join the fun. With a steel frame, bolt-on hubs and 4.1″ wheels this bike will last and last. Scott’s Big Jon, at $1599, is the best value in Fat Tire Bikes. 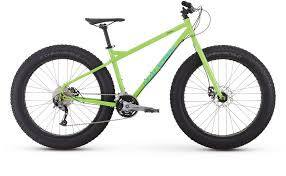 It has an aluminum frame (lighter weight), uses through axels (wheels) and wider tires (even for a Fat Bike) at 4.8″. Once you go Fat Tire, you may never go back. Are you seeing what you thought you’d see? Did we peak your interest? Do you want to see more? Merchandise. Displays. Promotions. Events. We continue to mix things up at Shepherd & Schaller, where today “Sports For All Seasons” means something different to you and to us, than it did in the 1950’s, 1980’s, 2000’s and even last season! When things change it’s good to take a closer look. Right now we’re all about skiing and snow sports, biking, hiking, paddling, yoga, disc golf, footwear, outerwear and sportswear for the trendy, smart Athleisure lifestyle we all embrace. But you’ll also find handbags, home decor, skincare and unique products that compliment your active outdoor lifestyle. Surprised? When was the last time you experienced honest expert customer service, fun decor and cool technical products – all in one place? Wausau’s local sports store is more than it’s ever been. It’s time to take a closer look. 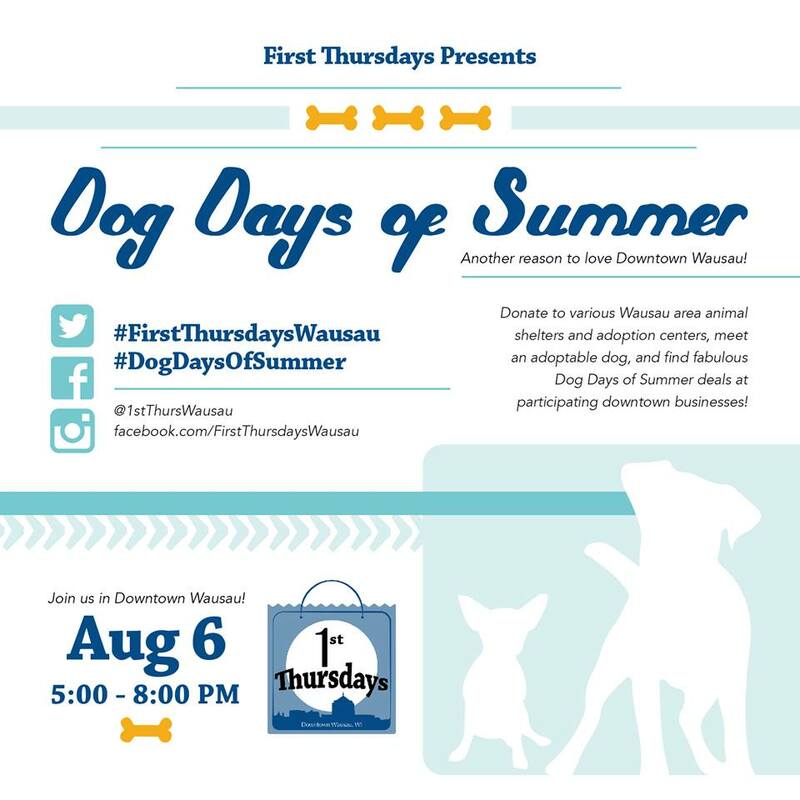 For August, First Thursdays is celebrating that the “Dog Days of Summer” are upon us, and we couldn’t agree more! We’re thrilled to be spending time on our kayaks, waterskis & bikes because it’s hot and we’re happy! How have you been enjoying the heat? This Thursday, Shep’s is once again giving you $10 Shep’s Bucks for every $50 you spend, PLUS offering 25% off all spring & summer apparel, shoes, and accessories! With that duo, you really can’t go wrong. Our friends and neighbors throughout downtown are offering their own great specials, and we’re all working with the Humane Society of Marathon County to raise awareness of their pups & hopefully connect some with new homes! Join us downtown for live music, one-night-only specials & sales, and more from 5pm-8pm this Thursday, August 6th! 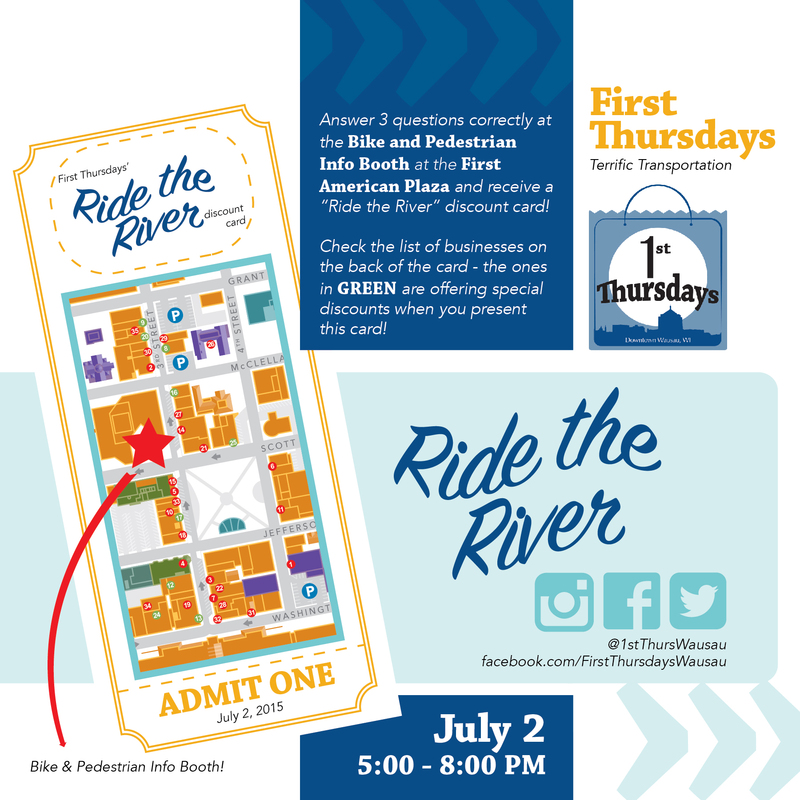 This month, First Thursday’s theme is Terrific Transportation. Perfect! We LOVE alternative modes of transportation, like skiing down the hill, riding across town, or hiking around the woods. We’re all about being active, not just to be active, but to enjoy it. As usual, Shep’s is coming at you with some awesome deals for this event. We’ll offer 20% off your in-stock purchase of Clothing & Footwear AND give you $10 Shep’s Bucks for every $50 you spend! Win, win! Participate in the downtown-wide promotion shown below and use your “ticket” to get $5 off any bike service/repair at Shep’s. Join us downtown for live music, one-night-only specials & sales, and more from 5pm-8pm this Thursday, July 2nd! Fun things to try on the 4th! 1. Disc Golf: There are disc golf courses popping up all around Wisconsin, and with the start-up cost so low, people of all ages are heading out to throw some discs. Shep’s carries hundreds of discs from Discraft, Innova, and Disc Mania along with bags and other accessories to get new players started and seasoned players restocked. 2. Biking: With hundreds of miles of city, country, or forest trails available for biking, Wisconsin is one of the best places to get out on two wheels. 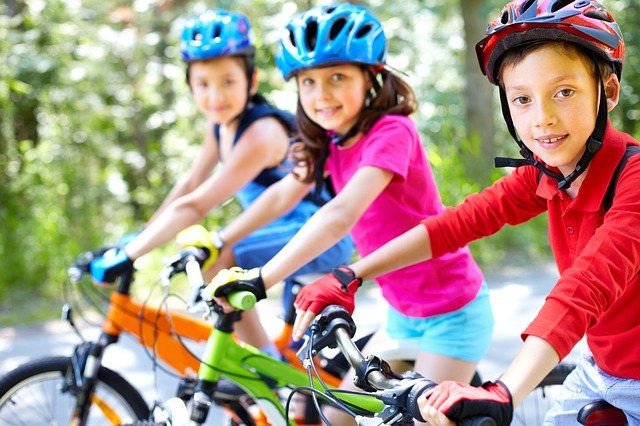 And with bikes for people of all ages and abilities, Shep’s is your biking headquarters. Comfort, fitness, or mountain bikes – we have it all, and we have all the accessories available too. Already have a bike? Our mechanic Pete is here to get your bike running smoothly and safely in time for the 4th of July weekend! 3. Water Sports: Living in Wisconsin and being on the water go hand in hand, and even if you’re a seasoned water goer, chances are there’s a new activity you’ve yet to try on our beautiful waterways. Love to kayak? Why not give stand up paddleboaring a try? 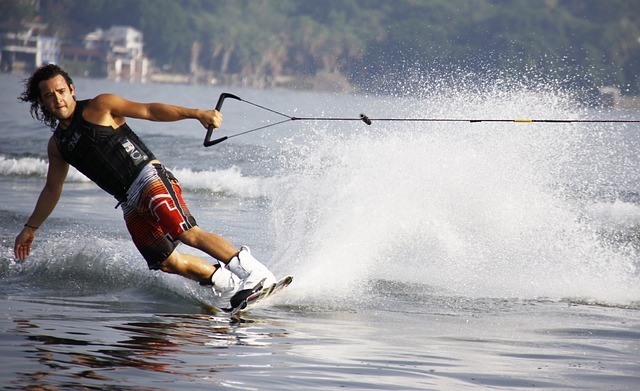 Are you a local pro on a slalom ski? Wake boarding, wake surfing, and more will give you an awesome new skill to master. Or if you’re simply heading to the beach for a quick dip, Shep’s has a great line of men’s and women’s swimwear from Prana, Patagonia, Roxy, Quiksilver, United By Blue, Kavu, and more! Lastly, don’t forget your Sun Bum sunscreen before you hit the water! 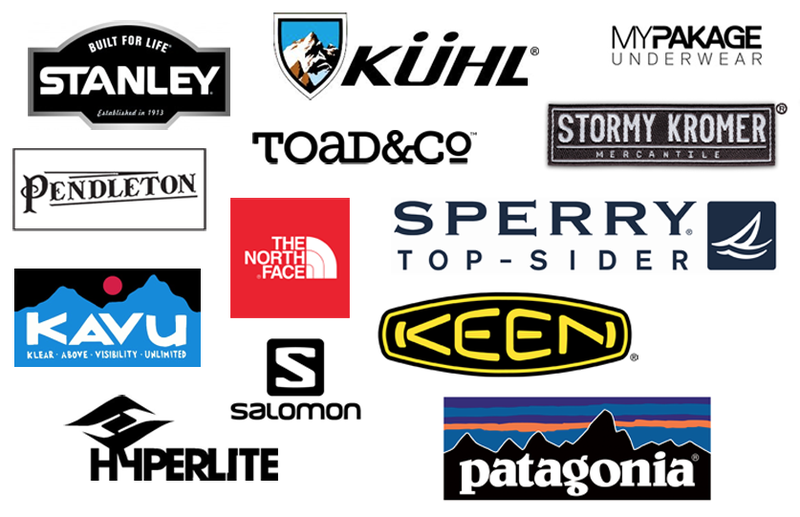 Don’t forget to look and feel great this holiday weekend wearing great new apparel for men and women from Patagonia, North Face, United By Blue, Krimson Klover, Prana, Kavu, Toad & Co, and so many more! Author Managed WordPress Migration UserPosted on June 29, 2015 Categories Back Shop Services: Repair and Tune-ups, Bikes & Biking in Central WI, Camping & Outdoor, Community, Disc Golf, Holiday Special Offers, Lifestyle, Paddle Sports, Sales & Coupons, Store Events, Uncategorized, Water SportsTags 4th of july, biking, disc golf, Family Activities, family fun, Holidays, summer fun, watersports1 Comment on Fun things to try on the 4th!